The Cincinnati Reds farm system has been ranked as the 6th best farm system in Major League Baseball by Keith Law of ESPN (ESPN+ needed). That is the same spot in the rankings that the team had last season. There can be some good takeaways from that. 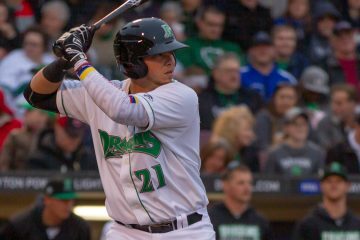 The team graduated Jesse Winker, Tyler Mahle, and traded away two other quality prospects in Jeter Downs and Josiah Gray this offseason and maintained a high ranking. 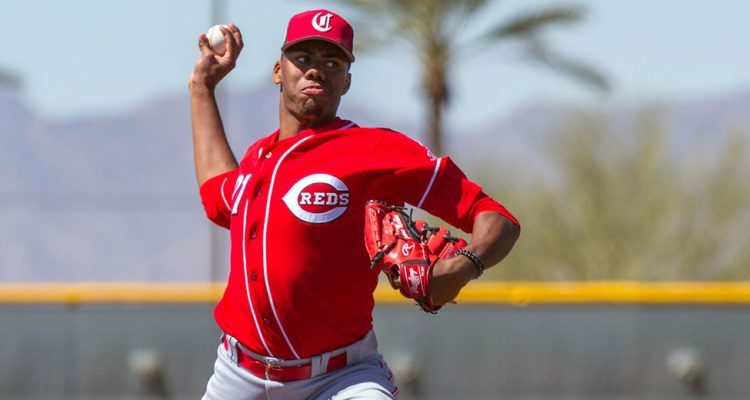 For now, the Reds are in good shape, thanks to years of productive drafts that have given them a strong cluster of prospects who look like they’ll hit the majors in the next two years, along with long-term high-upside play Hunter Greene. There’s some talk about how this could change because of how active the Reds still seem to be in trade talks. Within the National League Central, Cincinnati is clearly ahead of everyone else. The Pittsburgh Pirates are the only other team ranked in the Top 15, coming in at 15th on the list. The Brewers and Cubs are both ranked in the 25-30 range. 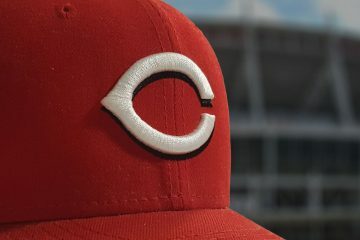 Where the Reds rank, despite all of the movement they have made this offseason is a credit to the front office. Being able to add Yasiel Puig, Alex Wood, Tanner Roark, and Matt Kemp while still having a Top 6 ranked farm system is credit to both the scouting and development department, and the front office that’s been able to navigate the trade waters. The Caribbean Series begins today in Panama. There are two games slated for Monday. The Dominican Republic will take on Puerto Rico at 3pm ET. Mexico will then play Venezuela at 8pm. All games will be available for viewing on ESPN Deportes. While Jose Siri was named the Dominican Winter League Championship Series MVP for Estrellas Orientals, he will not play in the Caribbean Series. The Reds will have just one player on the team – newcomer Odrisamer Despaigne. He’s also the only current Red on any of the teams that are playing. There are, however more than a handful of former Reds or Reds minor leaguers on the rosters. Why wouldn’t Siri play on the team for this round after being the MVP of the previous round? Did the Reds intervene wanting him to get some rest before spring training starts? I suppose he could have made that call himself if he wants to focus on making a splash in spring training to try and grab a CF spot that is uncertain for 2019. Assuming Senzel graduates, and even if we trade India, Trammell and Greene should remain top 20 guys, and we’ll add the #7 overall pick this year. The Reds said no from what I have heard. We also traded away a ? mph reliever in Tanner and a future utility guy in Shed. You wonder would we have been much higher. I think not much. That future comp. pick is a loss for the future. I knew I was forgetting someone (Shed). These lists are 99% about who you have in the top 100. All things equal the “depth” guys might get you over someone similar, but won’t be pushing you up 2-3 spots unless you are at the bottom of the list. While that is a great thing to see, it doesn’t mean a whole lot unless the Reds can convert all that talent into a winning team at the major league level. Historically, good farm rankings lead to future winning at the big league level. Happened in the 1960s. Reds produced bunches of MLB talent throughout 1960s. That laid the foundation for Big Red Machine of 1970s. Some key trades were needed but Reds MiLB prospects (Perez, May, Helms, Concepcion, Rose, Griffey, Nolan, Gullett, etc) were the main building blocks. Happened in 2008. Was the foundation for 2010-2013. 1980s too. Barry Larkin, Eric Davis, Tom Browning, Chris Sabo, Rob Dibble, Joe Oliver, Jack Armstrong, and a whole bunch more (on 1980s teams). The basis for four pretty good Reds team in the late 1980s and the 1990 Wire To Wire Reds world champions. In my lifetime (born 1951), the Reds have usually had a very good MiLB system. Wish Series had started yesterday so I could have watched it rather than the lousy football game. All aspects of the super bowl were historically bad yesterday. The hype, the commercials, the entertainment, and the game itself were just beyond bad. The farm ranked 6th again. Should make for some nice prospect capital for trade. Reds front office is too risk adverse to even go there though. Playing in the deep end of the pool with water wings on. That ought to be good enough for 4th or 5th place in the NL Central. Come on Reds, spend some prospect capital and go get Realmuto. That’s kinda not true this year, as that they gave up 3-4 guys this offseason that would have been top 5-10 prospects in years past. It’s fine to say trade a prospect, but then 2 years later you could have nothing and that guy is a cheap all-star. I remember The reds thought about a Votto trade for some journeyman pitcher which would have been terrible. India, tucker, and one of like Fairchild/Freidl/Mella, which is a lot but you keep our future in tact. He also has the White Sox 7 spots behind the Angels, which seems like he almost forgot about them last minute or had an intern write his list. No Realmuto deal yet? Perhaps some Reds buyer remorse? I hope so. Perhaps the Reds are standing on their reasonable offer and the Marlins are hoping for more. Initial reaction to the MLB.com Fancast ad of Wade Miley signing – good. 35th reaction to MLB.com Fancast ad of Wade Miley signing – dread. I don’t get the ease of which people are willing to move on from India. He hit 350/497/717 with 21 HR’s, 1.214 OPS 15 SB, 60 BB against 56K. 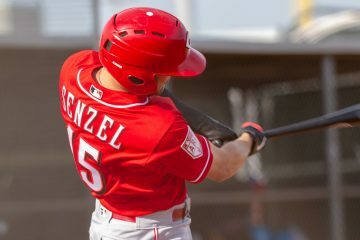 Other than the K’s those numbers are significantly better than Senzel put up. 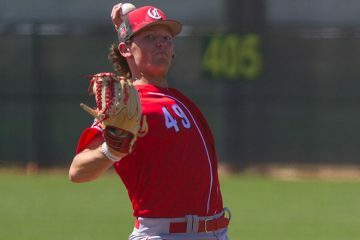 He was a HS all-american, put up great numbers against SEC pitching, was SEC player of the year. He OPS 814 in his small sample of pro at bats in environments completely different than his college days (attendence of 3-4K verson 200 people. He is also known to be a hard worker. I don’t want to him to be in anyone else’s organization than the Reds. It’s less of a knock against India, and more a numbers game. A numbers game in that the Reds currently have, for the foreseeable future, Suarez, Peraza, and Senzel ahead of India. Trade from a wealth of talent at one position in order to upgrade another position. I like India as well. Same reason the Reds could trade Lee May in 1971. They had Tony Perez ready to play 1B and eventually Dan Driessen, too.